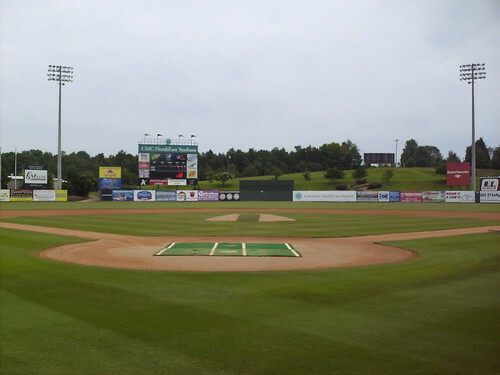 The view from behind home plate at Intimidators Stadium. 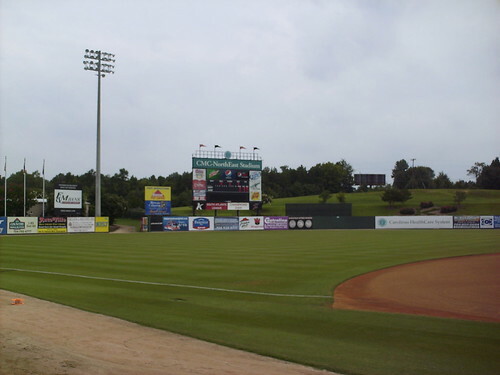 The view from down the first base line, looking out toward the clubhouses behind the left field fence. 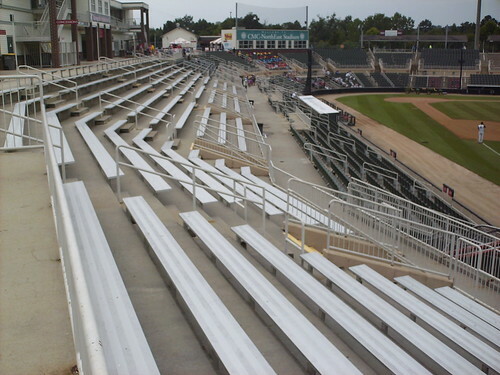 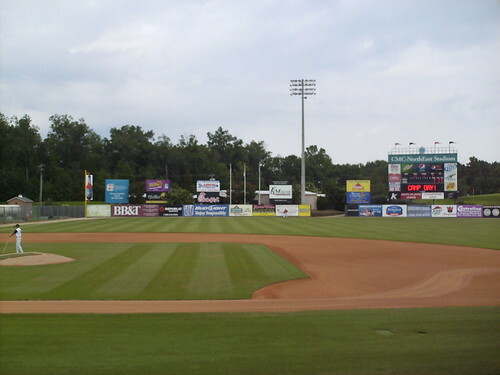 The grandstand at Intimidators Stadium, as seen from the right field corner. 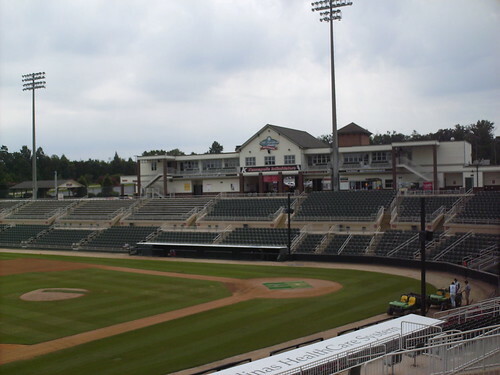 The luxury suites are all located in a single structure on the first base line that also houses team offices and the team store. 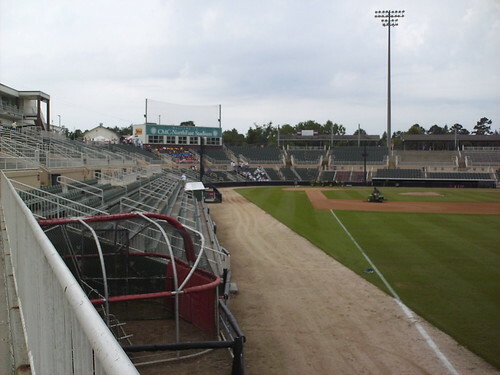 The pressbox behind home plate is the only other structure sticking out from the seating bowl. 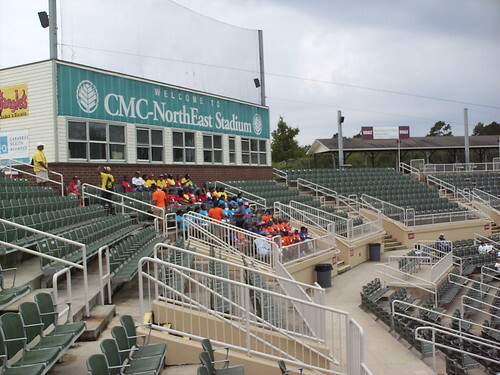 A long bleacher section stretches down the first base line and wraps around into the outfield. 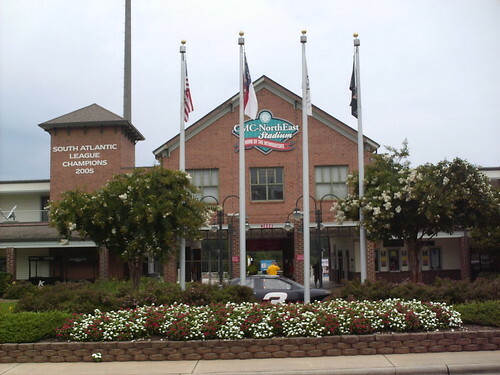 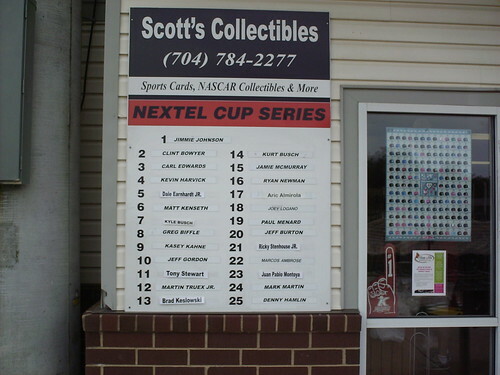 While most parks feature standings boards for the team's league, Kannapolis is located in NASCAR country, just miles from Charlotte Motor Speedway, and is named for former owner and NASCAR driver Dale Earnhardt, so they have the NASCAR standings on the concourse as well. 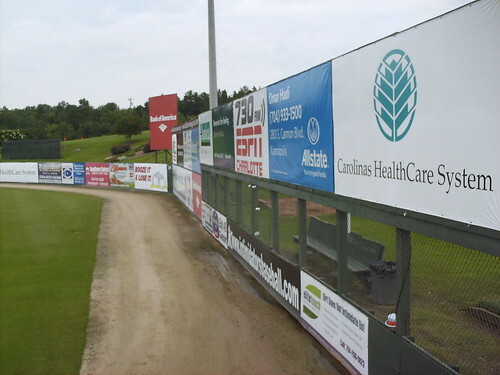 The outfield fence rises in height in right field, with a mesh section for the bullpen pitchers to watch the game through. 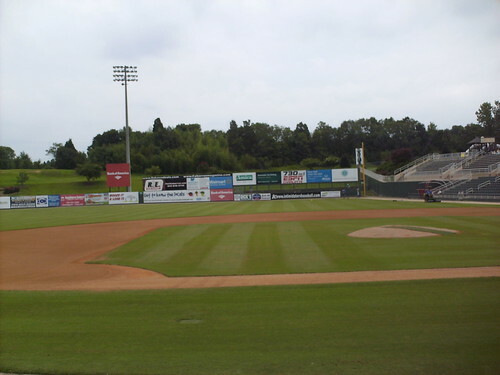 The outfield wall features retired numbers, including Dale Earnhardt's number 3, and a landscaped "K" sits on the berm behind the fence. 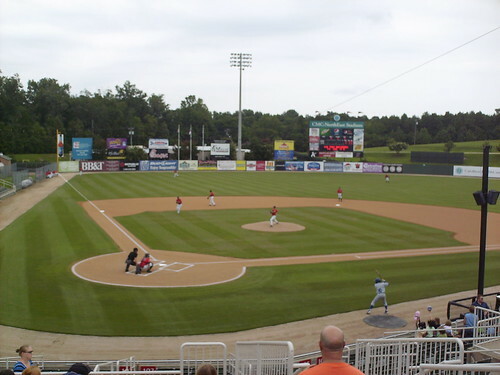 The Kannapolis Intimidators on the field during a game at Intimidators Stadium.